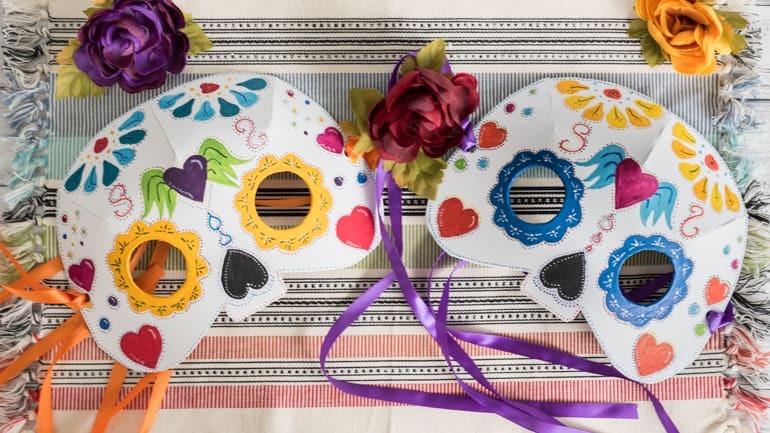 Did you know that Hispanic Heritage Month runs from September 15 – October 15? Apparently the somewhat odd-seeming dates are so the month can start when several Latin American countries celebrate their independence days. I try to at least sort of keep track of these things since my in-laws and husband are 100% Hispanic! 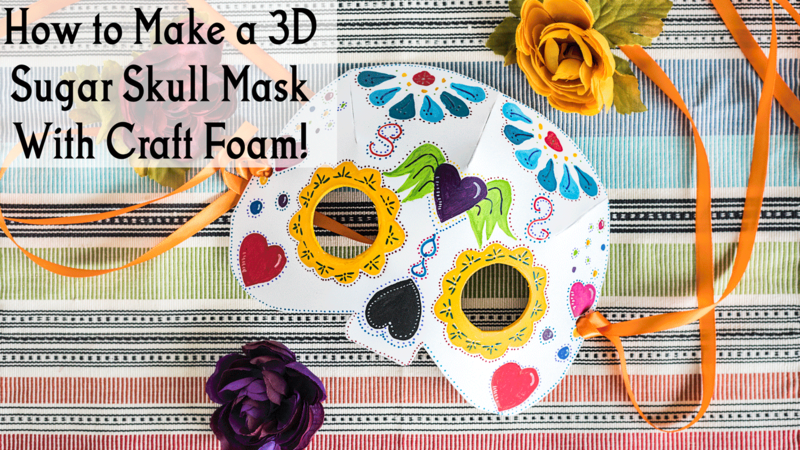 Because it’s the middle of Hispanic Heritage Month and the Day of the Dead is approaching, I decided to create a second Skillshare class demonstrating how to make a really neat, detailed sugar skull mask out of craft foam! If you already have some craft paints and paint brushes, you’ll only have to spend about $1.50 for enough materials to make two masks. That’s pretty cool, right? 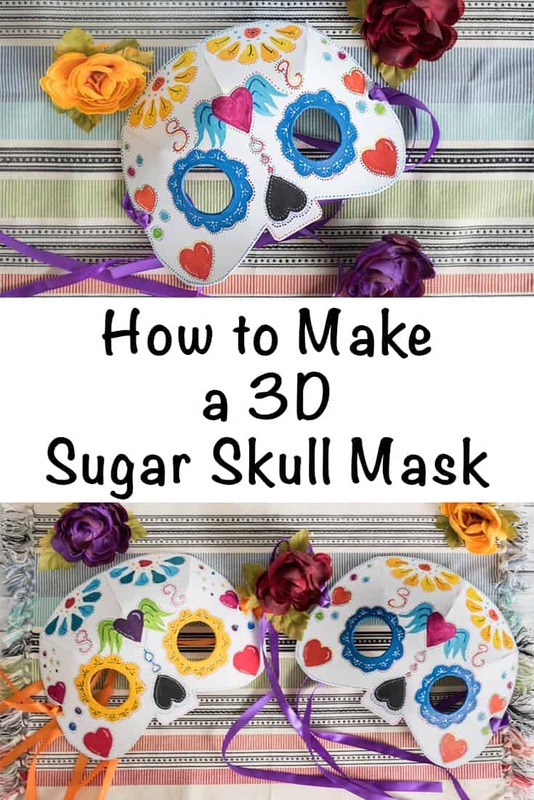 The class is called “How to Make a 3D Sugar Skull Mask with Craft Foam” and it includes a template and easy transfer techniques so you can make a detailed mask, even if you think you “can’t paint” or “can’t draw,” but there’s also a blank slate pattern you can use to create your own mask! Just like with How to Make a Spiral Ribbon Lei, there are a couple of ways to access this class. You can either use this link and gain access totally free. Or you can enroll as a Premium member and have unlimited access to all Premium classes site wide! Use this link to enroll in a free Premium membership. This is an affiliate link – if you chose to sign up for a free trial, I may receive a commission at no cost to you. On a different note – as regular readers know, I spent last week at the Promoting Passion Convention hosted by Brooke Shaden. It was an amazing, transformative experience, but it also kept me super busy! As a result, there will not be yoga video tomorrow, but I will be sharing some thoughts on photography so I hope you stop by. It is just the first post of many I will eventually share as a result of attending PPC, so keep your eyes out for more photography fun soon! I signed up! How this helps you!